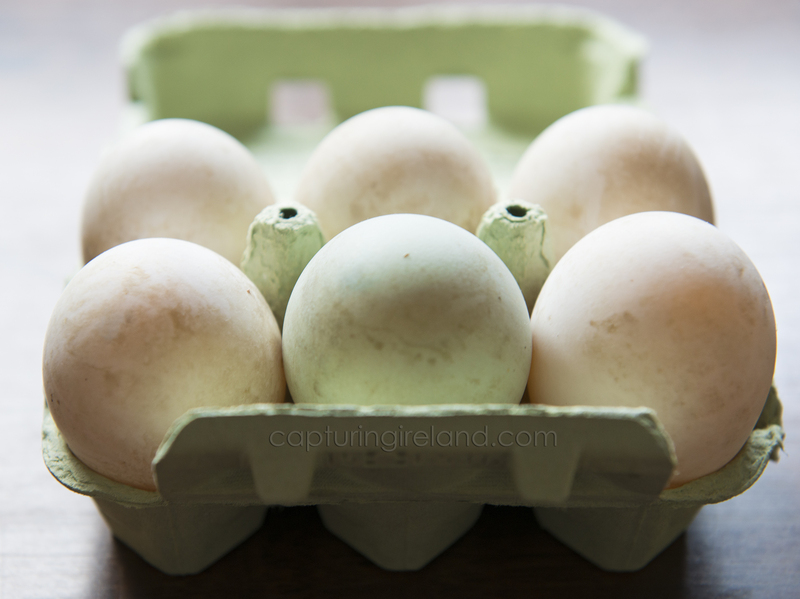 I was out of eggs a couple of mornings ago, so I drove to O’Sullivan’s corner store in Sneem. The soft-spoken, grandfatherly grocer told me they were also out of chicken eggs, but they were stocked with duck eggs (which happened to be stacked up behind the front counter next to the batteries). He said they have a strong flavor, but they’re an Irish breakfast staple. Put off by whatever “strong flavor” meant, I left the store and decided to eat out instead. However, on my way back through town I had a change of heart and returned to the store. Shouldn’t I be adventurous and try new things? 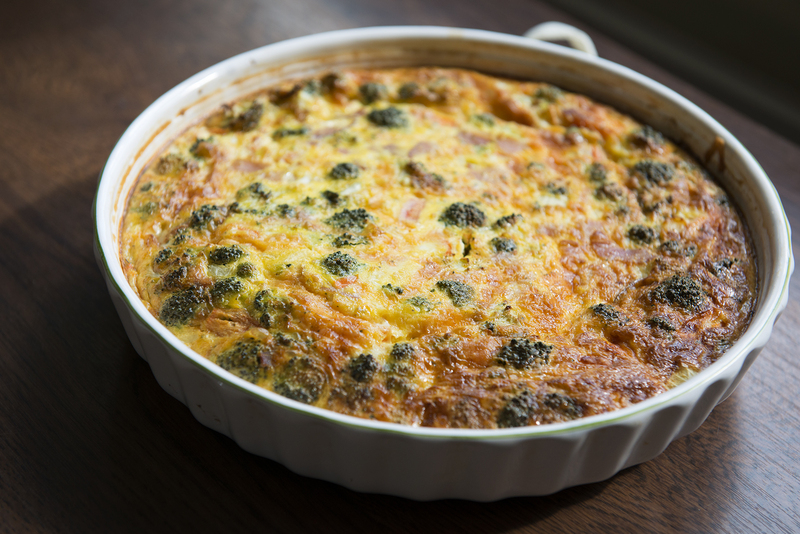 Intending to make a quiche for lunch, I bought a half dozen eggs. They had a chalky texture and were so large the grocer had to tape shut the carton’s lid. 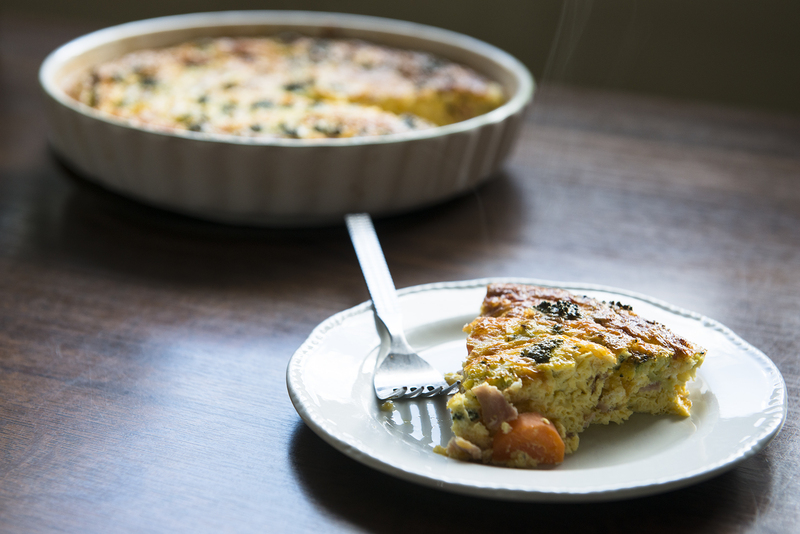 My heart now set on quiche but fearing the strong flavor, I drove into town again to see if O’Sullivan’s had received their shipment of regular eggs. 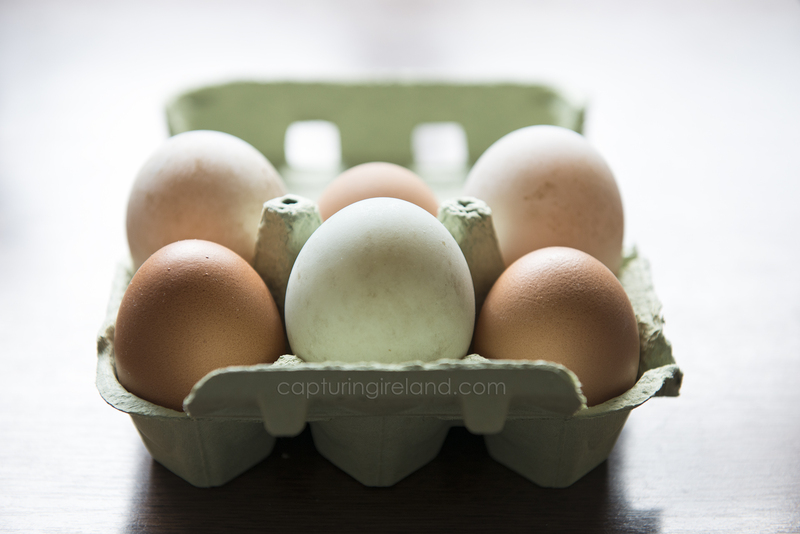 Relieved to see a shelf stocked with normal eggs, I bought some of those too, intending to mix my supply. I could be half-adventurous! I baked for 40 minutes at 180 °C. That’s right! I had to convert Fahrenheit into Celsius because of the temperature gauge on the oven. The result? I would have cooked it for about five minutes less and added more cheese, but other than that it was great! The strong flavor? I couldn’t actually tell the difference. Good for you for stepping right up to adventure and “cracking” it.